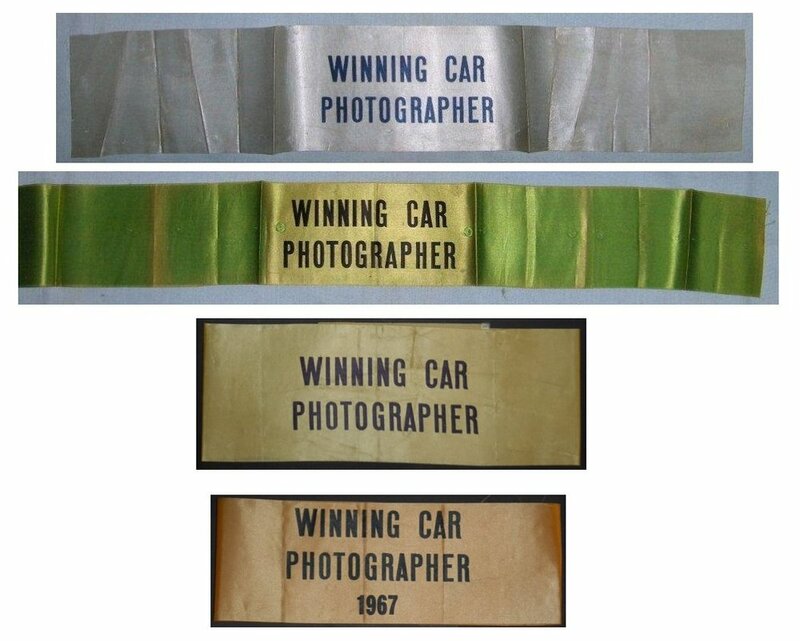 Winning Car Photographer armbands probably date back at least into the 1940's-1950's with 1967 being the earliest known dated armband. 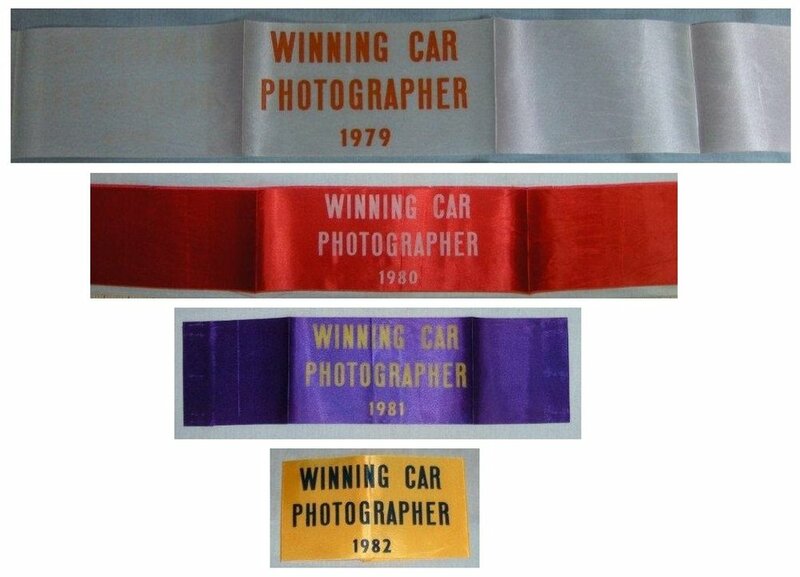 Those undated* are probably from before 1967. 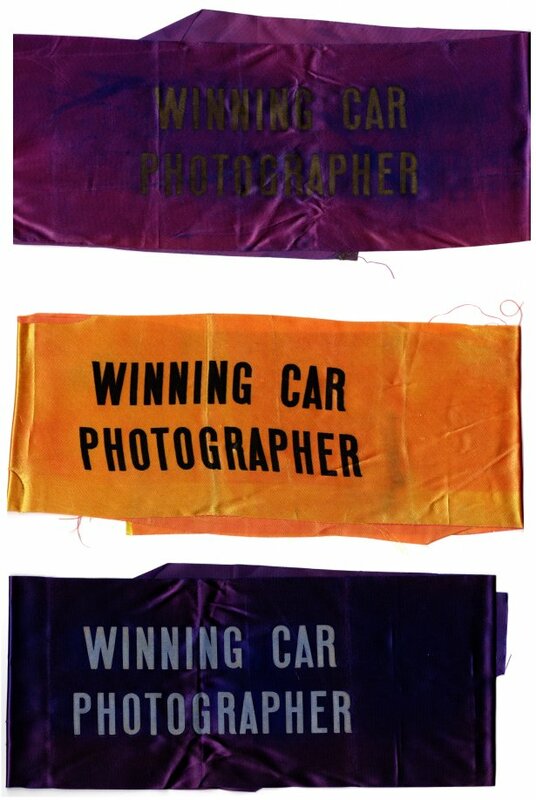 All known* armbands are made of a silk/satin type material. 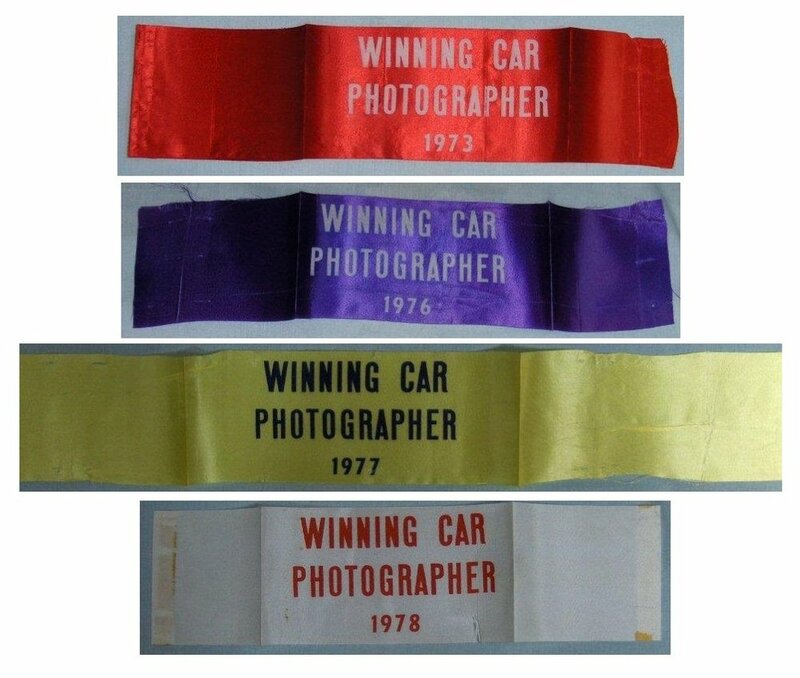 We need pictures of any winning car photographer armbands not shown here so please email ni500cc@ni500cc.com if you have any pictures so they can be posted here on the site. Because of the fragile nature of silk/satin armbands, this type of armband may fray as seen above. 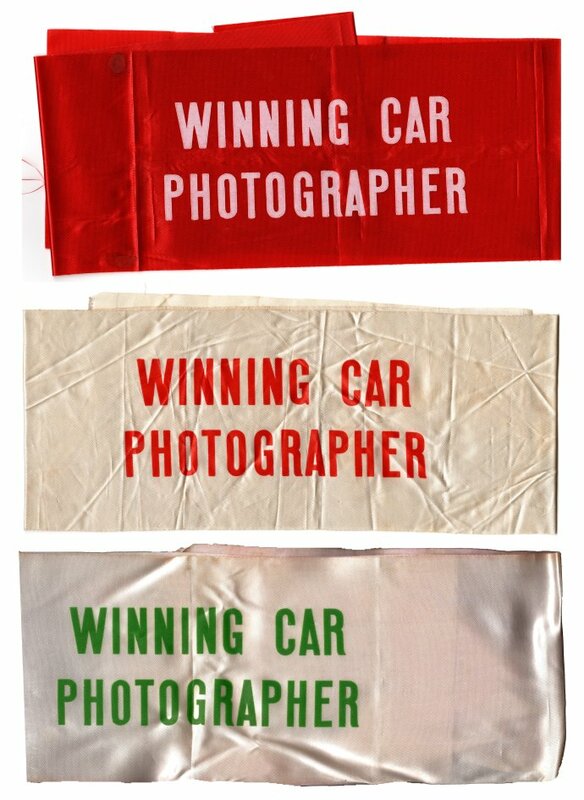 However, as these were only used for one day and primarily in Victory Lane, those from the 1980's and up are usually found in very good condition as these are above. 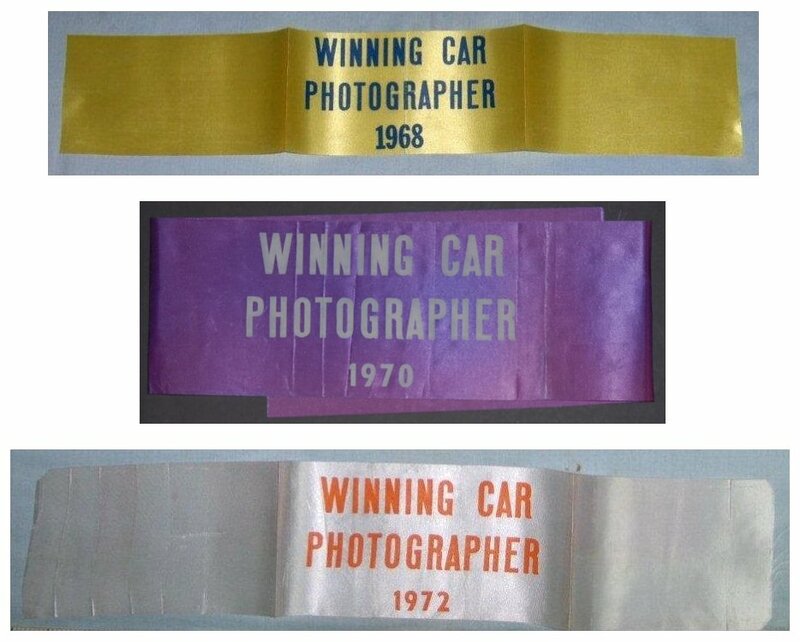 Those from earlier years will have the same fraying problem and will be harder to find the further one goes back. Probably no more than *20 to 25 of these were used from any given year which should be factored in when determining a value.